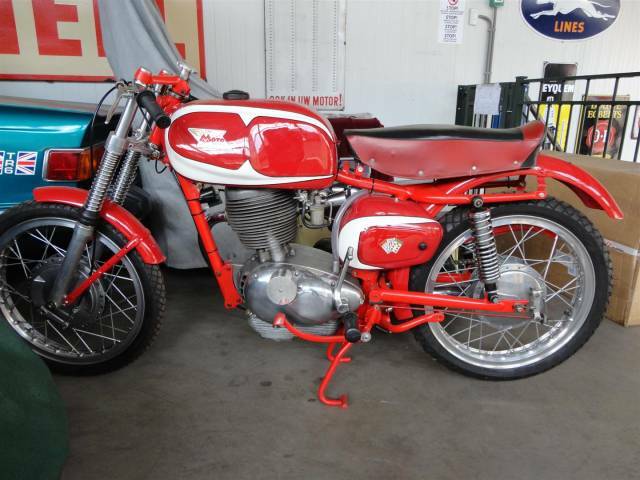 A Moto Morrini Tresette Grand Sport 175 CC from 1961. Original and with aluminium rims.As used in the famous Italian Giro D''Italia. This example of the super little motorcycle has been the subject of a meticulous total restoration and has a completed engine rebuilt and Power Dynamo electronic iginition plus a lovely paint job which completes the picture. The bike has been correctly registered in the UK with a V5 and number plate. What''s more, the vehicle has a large history file. Big choice in bikes and mopeds in ''''the Stolze Collection''''!